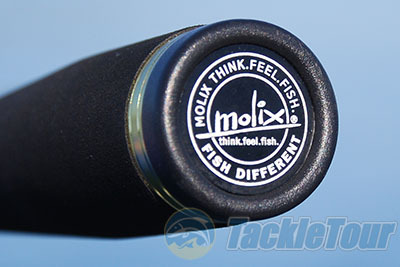 Introduction: Best known for their high-quality lures, Molix surprised many of us with the introduction of their Fioretto line of bass rods. Although this selection of sticks is downright tiny compared to the competition, we were eager to see how they performed on the water. 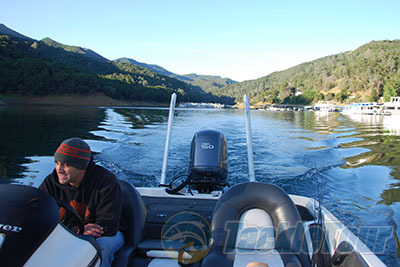 TackleWarehouse.com is the exclusive dealer for these rods, so we visited the site and quickly procured a couple of them for testing. My earlier review of their SB Crank 55 Silent crankbait ended with a �good� rating, so let's see how one of their rods scores in comparison! Introducing the Fioretto FSC-66M from Molix! Quality/Construction: �Impressive� is the first word that popped into my head when I initially grabbed the FSC-66M. This is simply a beautifully-crafted rod that is free of any quality issues throughout its entire length. If you are a fan of JDM rods then the quality and appearance of the Fioretto series should instantly appeal to you. The blank sports a modest gray color throughout, with a matte finish up to the first guide and gloss from there up to the tip top. 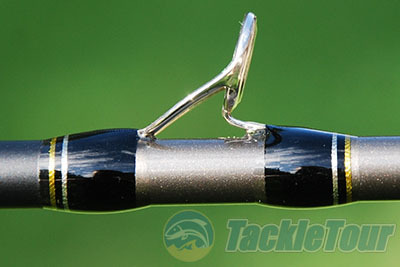 Fuji guides are secured to the rod with black wraps that include tasteful silver and gold tipping. As I previously eluded to, the wraps and epoxy work will make you smile. The handle portion is crafted with similar excellence in regards to finish and detailing. 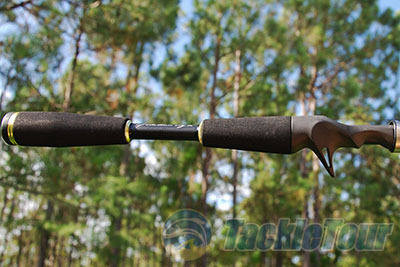 The high-density foam handle is sized just right whether you're ripping or jig fishing. 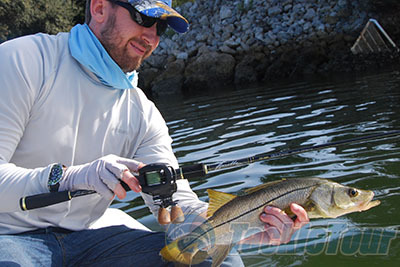 Performance: Performance testing ranged from fishing docks for small snook to bass fishing on California reservoirs. Both braid and mono were used on the Molix, and a wide variety of both hard and soft baits were thrown. Fishing docks for small snook was a ton of fun with this rod! Casting: Casting the FSC-66M is an absolute blast! From pitching to casting, it never disappoints. In all honesty this rod is one of the most fun I've ever fished, period. It is both extremely accurate and has a nice little �pop� to it. The tip also contains the perfect amount of flex which makes casting lighter lures effortless. Its one-quarter to three-quarter ounce rating is dead on, and I stuck right in that range during the entire duration of testing. Part of the high-quality component lineup includes Fuji K frames with SiC inserts. Sensitivity: I know, I know, the IM-6 blank is a bit of a shocker here. This graphite designation is something we are used to seeing on rods from days gone by, or maybe on a budget-minded stick down at your local sporting goods store. 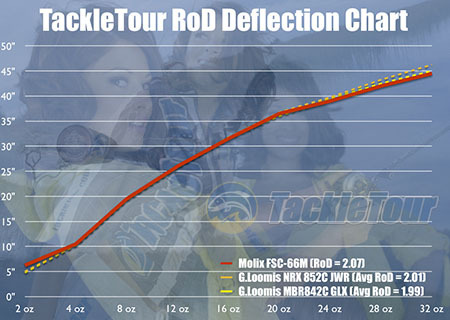 Other aspects of a rod's design and construction also affect sensitivity, and in this case Molix seems to have a solid formula in play. I am quite pleased with the feel the blank conveys and consider it a bit above average. Heading out with my friend Ali to put the Molix through further testing. 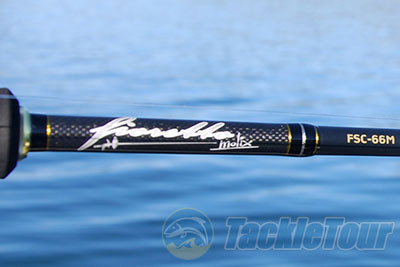 Power: The FSC-66M isn't exactly a powerhouse of a rod, but for what it is the overall muscle is fine. Hook-setting power is decent, and the backbone is equally acceptable but could benefit from a tad more stiffness. Despite the modest power on tap, that's part of what makes this rod so much fun to fish�it's not a musky rod, and makes fighting smaller fish an absolute hoot! The Fioretto FSC-66M follows very closely to our other two similar rods, including the MBR842C GLX�a huge favorite for many anglers. The end cap both looks good and adds protection.